Situated at the heart of the Alsatian vineyard and more exactly in the municipality of GUEBERSCHWIHR, the Domain Bernard SCHERB and Son is a family domain which we cultivate since 4 generations. 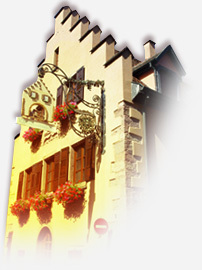 The Alsatian vineyard extends over 15000 hectares east of France, in the Northeast of the Burgundy. 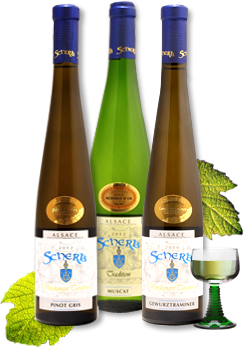 In Alsace, we produce essentially aromatic white wines but we also propose a red wine (the Pinot noir). Follow us and stay informed about our offers and news. Enter your e-mail and confirm. Press review, Guides, Articles, Magazine, we provide you with all the documentations which speaks about us.